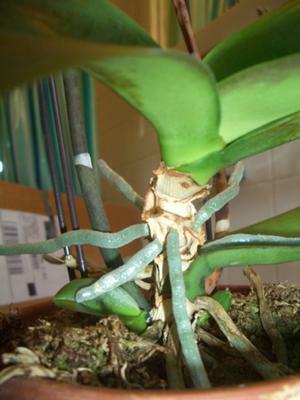 How to Remove a Basal Keiki From Dying Mother Plant..
Hi- I have a Phal. orchid, which started to get brown spots very soon after I purchased it over a year ago. The spots started on the underside of one leaf, slowly got worse, making their way to the tops of the leaf, and then began on the bottom of the next leaf. I did cut off the first leaf, before it spread, which did not help. They continued to progress, until most of the leaves were covered. To my surprise, the plant put out two beautiful flower spikes this year. 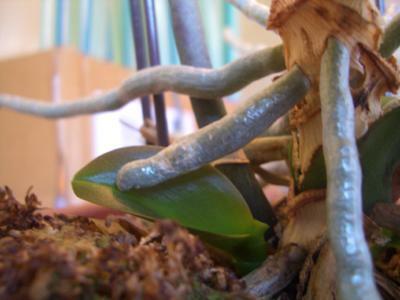 It continues to grow new green leaves, but each one soon becomes infected. Eventually the leaves started to turn yellow and fall off. I spent hours searching for the cause and a cure, but have not found anything online that looks quite the same. I took a shot and sprayed the plant with physan 20, but that did not make a difference. Now, there are two basal keikis growing. can I save the plant? And if not, an i save the babies before they get infected too? Thank you in advance! Comments for How to Remove a Basal Keiki From Dying Mother Plant.. Thanks for your questions and your great pictures. I am sure we will all learn from this one. 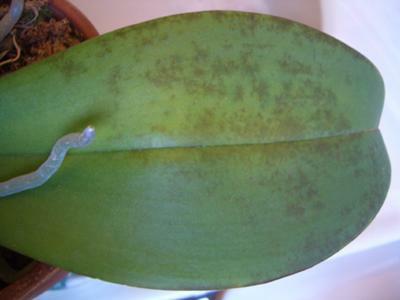 I am not sure what the brown spots on your Phal. are but I also have seen them on my plants. I also have never identified them but your questions has prompted me to do some more research and I will get back to you either in this forum or directly when I know more. It sounds like your approach is very through and you have done lots of the right things to try to solve this problem. If it is a bacterial or a fungal issue it might be treatable. Hopefully. That is what I am going to research. If it is a virus it is systemic to the plant and I do not think there is any way to remove it. If it is viral it is likely that the keikis have it as well. Not necessarily so with a fungal or bacterial issue. One thing to try would be to take 3% Hydrogen Peroxide (you can get this in any drugstore in the first aid section). 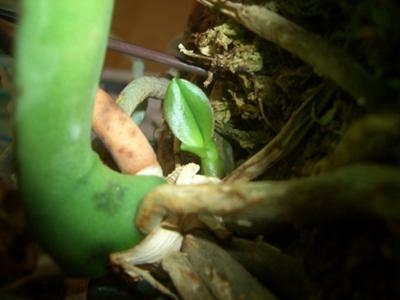 I would spray the leaves of the Phal. top and bottom both. Also, pour it through the media several times. I think that H2O2 rapidly offgases oxygen as it reacts and converts to water. This remedy was suggested to me by a professional orchid grower and I have tried it with several issues. I am not sure it has completely cured anything for sure but it has helped a couple of my orchids that have brown spots. Have not tried to use it on Phals. yet. You mentioned that the Phal. had two spikes. It is not uncommon that a sick or struggling plant will try very hard to reproduce itself (which is what flowers are trying to do and what keiki's are doing). I am not going to answer the question about how to deal with the basal keikis just yet, but I will after I have done more research on the whole issue. Try the hydrogen peroxide and see if that helps at all. What I noticed is that my "sicker" plants fizzed more with the peroxide (in the media). One little bit of advice: If you have to cut anything off this plant (old leaf, etc). Use a new single edged razor blade and throw it away after you use it. Whatever the issue this might help you not spread it around.